My New Outside Blog: Is Now A Good Time To Buy A Home in Lafayette or Acadiana? Is Now A Good Time To Buy A Home in Lafayette or Acadiana? 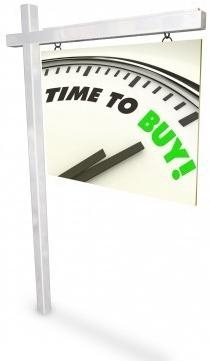 I'm often asked, "Is now a good time to buy a home in Lafayette or Acadiana?" My answer is a confident, "Most definitely!" The question that usually follows is, "Why?" It's a Buyer's market! You have a greater selection of homes from which to choose. In addition, you can often negotiate a better sales price with such an abundance of inventory currently on the market. Mortgage interest rates are at a historic low! i List For Less Realty is comprised of vigilant professionals who work only with reliable and trustworthy financial firms and mortgage brokers. Secure your financial future! According to the U. S. Department of Housing and Urban Development statistics, 60% of the average homeowner's wealth is derived from their home's equity. So the answer to the question, "Is now a good time to buy a home in Lafayette or Acadiana?" "Yes it is!" Should I look for a home now? Has the housing market "bottomed out?" Can I qualify for a mortgage loan I can manage? ...and at i List For Less Realty, we have THE ANSWERS! So go ahead, ask away! We're real estate professionals you can count on for help. We know that home ownership is a big step. From the very beginning, you need the right team. It's important and essential to start with trained professionals to help you understand the entire home-buying process from beginning to end. We take pride in knowing the local Lafayette and greater Acadiana housing market. That's what you can count on when you enlist i List For Less Realty to assist you with your home search and purchase. We are diligent and attentive to every detail to ensure we help you achieve your realty goals. Our mission is to make certain that every prospective home-buyer finds the right place to call home. "Is now a good time to buy a home in Lafayette or Acadiana?" "Yes, it most certainly is!"